I recently discovered a pretty sweet deal on audiobooks at Audible, and wanted to share it here in case anyone else is looking for some classic books "on tape." 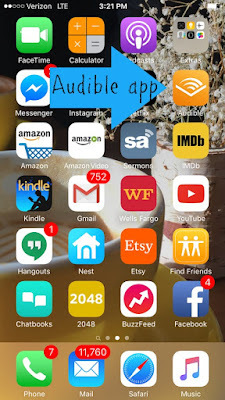 Audible and Kindle have a technology called Whyspersync. If you own both the audio and the ebook, the technology syncs the two mediums so that you can always pick up where you left off. This is great for me since I have a long commute and listen to books in my car but then also want to read over my lunch break. Most of the time Amazon (Audible and Kindle are both Amazon affiliates) will often offer a discounted price on audio narration if you buy the Kindle version of the book. 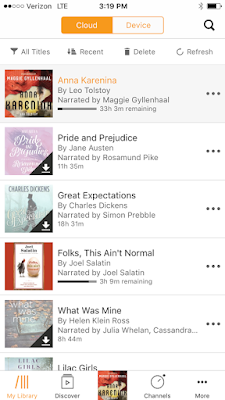 Well, Audible Studios has been releasing classics such as David Copperfield and Anna Karenina read by incredible narrators. If you buy the Kindle version of these books, you can add the audio narration for just $1.99. And the best part is - the Kindle books are already free! So for just under $2, you get a Kindle book and a fantastic audio book. I don't even have to tell you that I downloaded all of them. 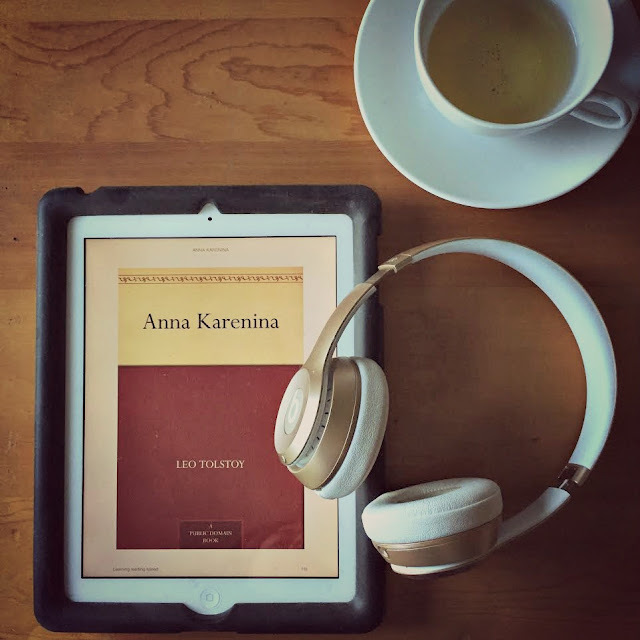 Anna Karenina has been on my list for a looong time, and now I'm listening to the lovely Maggie Gyllenhaal reading it on my drive. I paid all of $1.99. Which is half of what it costs for a drink from Starbucks. It might cost even less than what it would cost me to drive to the library and check these out. The audio is $1.99 with the free Kindle version and is read by Richard Armitage (the smoldering gent of North & South for my BBC miniseries friends). Audio is $1.99 and is narrated by Rosamund Pike who played Jane in the 2005 Pride and Prejudice with Keira Knightly. Narrated by one of my favorite narrators Simon Prebble, this audio book is only $0.99 with the download of the Kindle book. As far as I can tell (I logged out of my account and tried all the links) you don't have to have an Audible membership to get these prices. However, you will need the Audible app on at least one of your devices (I use my iPhone) in order to listen - it's free. I already own it, so it says "open" but for it should say "get." After it downloads, it will show up on your screen automatically. 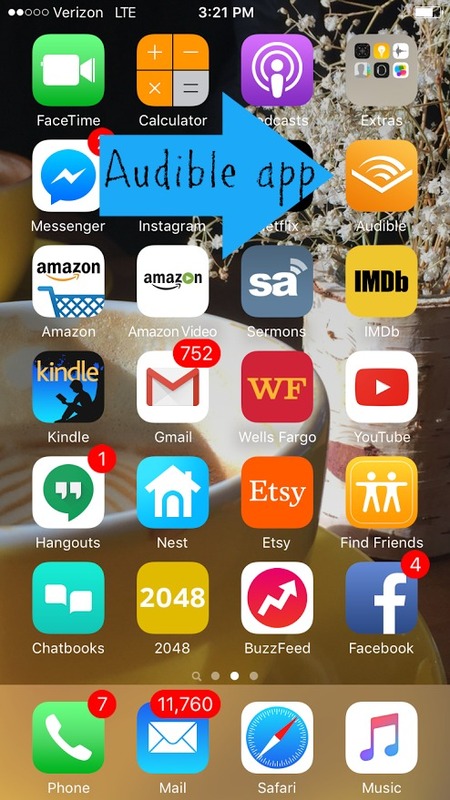 When you open the app, it will show you all the books you've downloaded. It will always track where you are. And if you switch between Kindle and Audible, it will still pick up wherever you left off! If you are interested in an Audible membership, you can get a trial membership for one month free by clicking here. 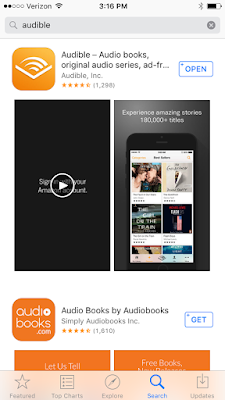 It gives you one free audiobook even if you cancel the membership after the thirty days. And if you need a recommendation for that free audiobook, I listed all my favorites in this post. All four books listed here totaled come out to $6.96 total. That is just $1.74 per book or $0.87 for each Kindle and audio book respectively. What Kindle and Audible deals have you been scooping up recently? I was reading a mystery that took place in an old book store and the books of O Douglas were mentioned. I looked it up on kindle and got it for FREE. I go to the library once a week and I have checked out some of their audible books in the past. Listening to a good book is a great way to redeem that commute time. Nothing better than discovering the book you want is free! How do you have twelve thousand unread emails?? I'm not a very good correspondent.